2nd Place $25 Winning Photo – Ted N.
This shot shows off the great installation that Ted completed on his first job. 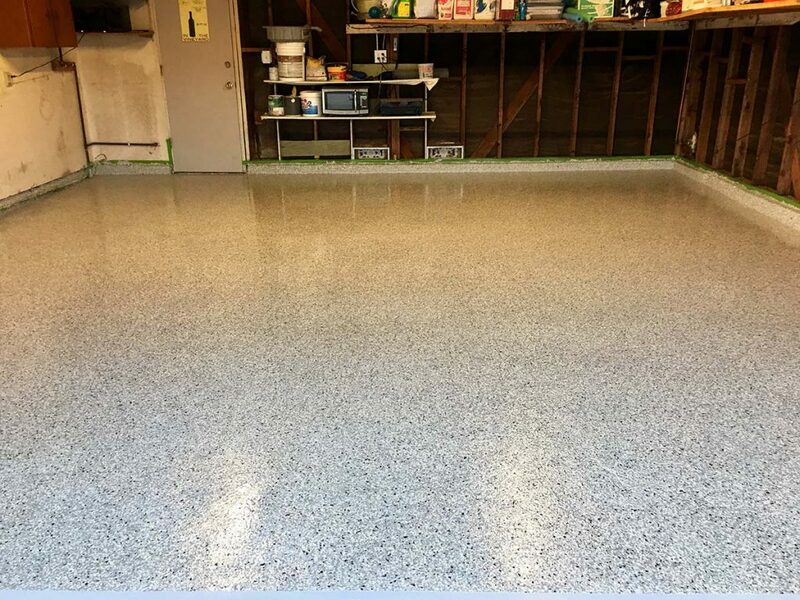 Ted attended one of our training classes to learn how to make money installing our Roll on Rock® Epoxy & Polyaspartic Garage Flooring over Concrete Floors. Ted was super impressed with how user friendly our 2 component products are, which made his first install a success. Well done Ted! Keep sending in those photos as you build your business, your first floor came out great.